Searching for power, KO accepts the help of a mysterious figure. Our heroes band together to save the plaza from a new menace. Lord Boxman forces his way into an exclusive Villains party. 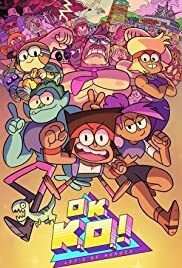 now as a fan of nock force I really liked OK ko lets be heroes, I liked the episodes I watched, OK I have not seen every episode of the show but I have seen a couple, the basic plot is, a guy named ko you works at a store for super heroes and they fight robots and EXPLOSIONS!. I know the whole show has not come out on TV, but you can watch on the CN app, and on xfinity. 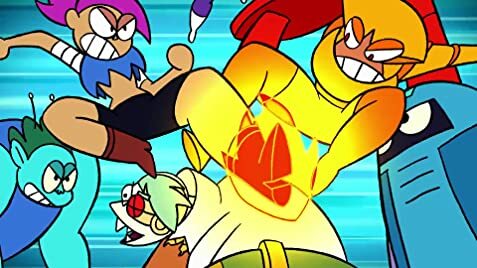 I cant wait for it to come out in august, the show makes me think if street fighter and Steven universe mashed together.